Flower: Tartarian Aster. Grows well in poor soil. The engineer in the moon dream and Mokuren's fiancé. Shion was a war orphan and is a genius who possesses strong Sarches power. Shion is very mysterious character in the beggining of PSME series, but his past is gradually revealed throughout the manga. At the beggining he hates Mokuren and longs only to go back home. 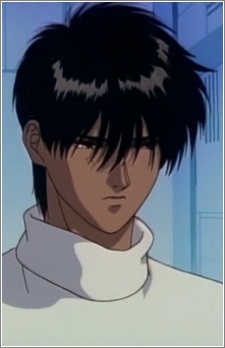 He is very serious when it comes to justice but has a bad temper and always tries to be better than Gyokuran.